For philosophical reasons. Back on the 22nd. This is going to be fun! A couple years ago, Brian Leiter came out with Nietzsche on Morality, which discusses Nietzsche's Genealogy of Morality. Last year, he and I edited Nietzsche and Morality, a collection of essays (I've linked to the review in the previous post). I'm kind of wondering what other titles involving "Nietzsche" and "Morality" are in Brian's future and mine. Maybe Nietzsche or Morality -- I imagine the disjunction being exclusive. Sadly, Nietzsche if Morality is ungrammatical and probably suggestive of an incorrect view, as is Nietzsche if and only if Morality. But there's more opportunity in going beyond the truth-functional connectives. Consider Nietzsche Underneath Morality, Nietzsche Slightly To the Right Of Morality, and the like. Clearly we have many excellent publications ahead of us before we exhaust this productive line of research. 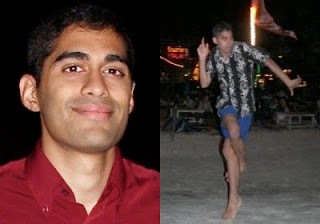 Neil Sinhababu's "Vengeful Thinking and Moral Epistemology" is concerned with showing that Nietzschean claims concerning the origin of distinctively moral beliefs can serve as premises in two different arguments for the conclusion that beliefs in the existence of moral properties are unjustified. He maintains that if the best explanation of a person's having such a belief does not make mention of moral properties of acts, we have the most important premise of Gilbert Harman's argument in "Ethics and Observation." He also asserts that if it can be established that distinctively moral beliefs arise in subjects by way of an unreliable mechanism, knowledge of this fact undermines a person's justification. Sinhababu then argues that the first essay of the Genealogy provides us with the outlines of an explanation of moral beliefs that makes no mention of moral facts and appeals instead to unreliable psychological mechanisms and the historical transmission of belief. The essay succeeds in demonstrating the contemporary relevance of Nietzsche's concerns and the philosophical importance of the second argument against moral realism, but it does not devote much attention to the question of whether Nietzsche's claims in Genealogy I are correct. For this reason, Sinhababu's conclusions concerning Nietzsche's work tend to take the conditional form "If Nietzsche was right, then. . ."
All of that is right. Of course, I'm not a historian of antiquity, so I'm not really in position to say whether Nietzsche is right or not about how Christian morality originated. I point out some important features of how morality originated according to Nietzsche, and then say that if our moral judgments really did originate through some process that had those features, you can get arguments that we are unjustified in believing that moral properties exist (at least on a naturalistic nonreductive realist framework). An interesting take-home message is that there are good reasons for philosophers to worry about the origins of our moral values. So while I don't actually do the kind of historical work that Jenkins describes, I establish that it's philosophically interesting and spell out the way that it'd bear on questions about the justification of our moral beliefs. For a philosopher, that's a good day's work. I've got it up at the new political group blog, Cogitamus. It's taking the LiveJournal Buffy fan world by storm.